Dublin based, freelance photographer and filmmaker. Approximately 20yrs experience in photography. Member of the Dublin Photo Group “In-Focus” and 4 Creative Studio. Started his adventure with photography when he was eighteen. After damaging many rolls of film, in time, he realized what he really wants to do in life. 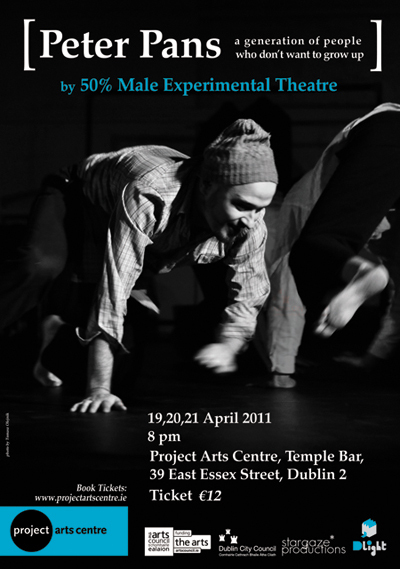 Poster for „Peter Pans” by 50% Male Experimental Theatre and coverage of their rehearsals for: "Seekers" & "Chemistry"